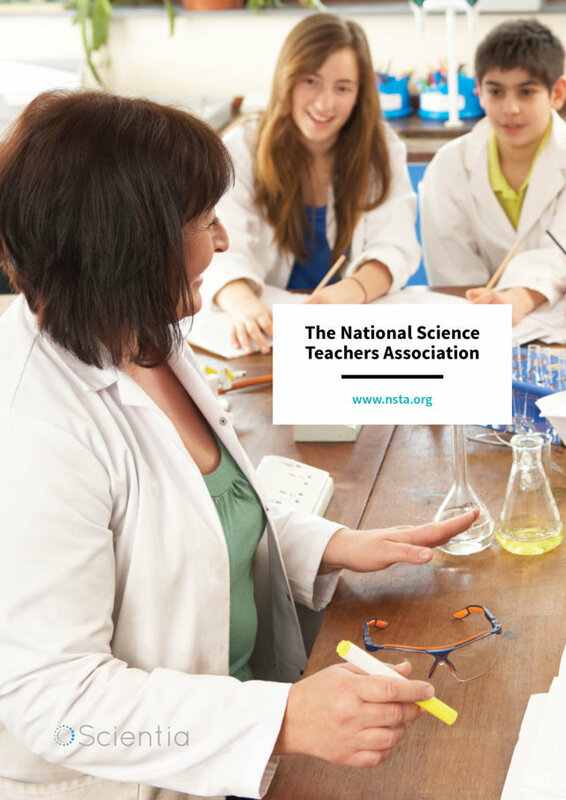 Founded in 1944, the Virginia-based National Science Teachers Association (NSTA) is the largest organisation in the world promoting excellence and innovation in science teaching and learning for all. 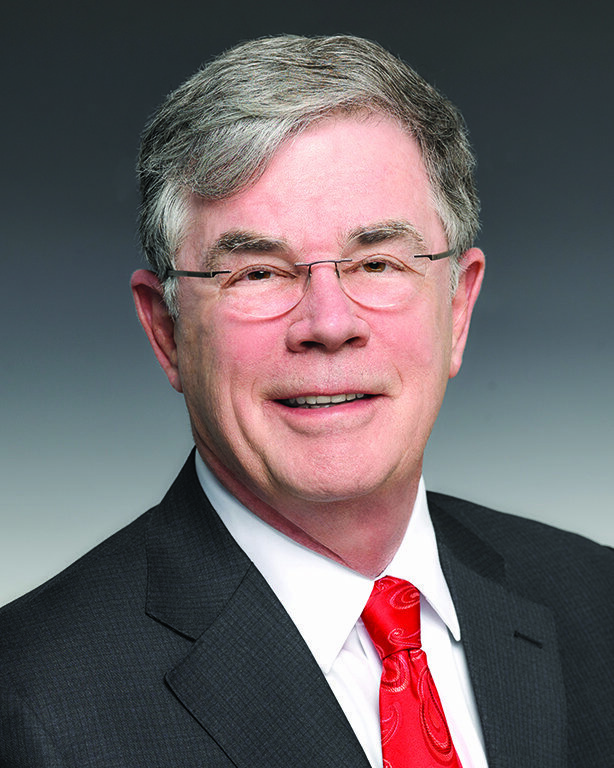 In this exclusive interview, we talk to Executive Director of the NSTA, Dr David Evans, head of the world’s largest professional organisation representing science educators of all grade levels. Tell us about the NSTA’s current goals and vision for the future? Our focus has always been on teachers, schools, and districts, providing support from the ground up by way of face-to-face professional learning; publications filled with pedagogical tips, science content, and classroom activities; and opportunities to recognise student and teacher achievement. Our goals for the future include raising the status of science education and science teaching as a profession by advocating for high-quality science education; enhancing the professional learning of science educators by providing a suite of tools, resources, and opportunities that support long-term growth; revitalising science education to boost student achievement and science literacy; and nurturing scientific curiosity among children in the earliest grades. Why do you believe it’s important for all students to have access to a good scientific education and why is it important to encourage improvement and innovation in science teaching? Science, Technology, Engineering and Mathematics (STEM) education has a big impact on the daily lives of all Americans. STEM innovation drives our economy and prosperity. We increasingly have to make informed decisions on issues ranging from healthcare to energy policy that affect ourselves, our families, and our communities. And while the creativity that drives STEM literacy, scientific discovery, engineering design, technological problem solving, and innovation starts at home, it is nurtured in the K-12 primary and secondary education STEM classroom. STEM experiences help students develop critical-thinking skills, encourage innovative thinking, and foster perseverance. Students need the kind of preparation that not only supports their learning now, but also gives them the tools and skills necessary to succeed in a continuously changing world. STEM education gives them these skills. How are you working to raise public awareness about the importance of science education? 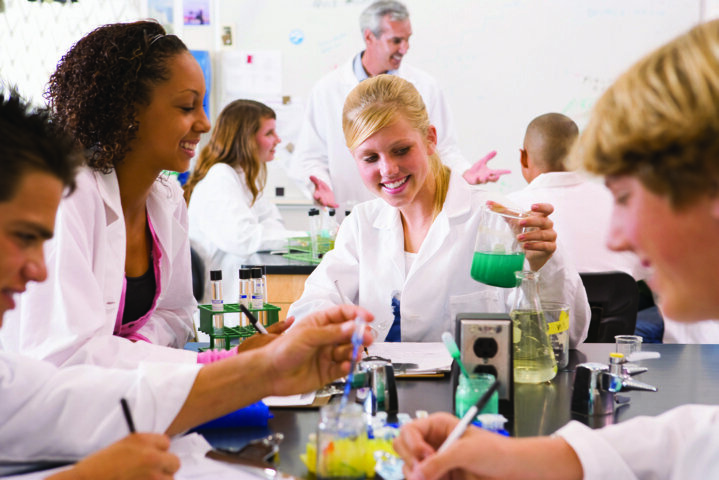 The NSTA works with numerous organisations to advocate for science education at the national, state, and local levels. We comment on policies and legislation; help engage teachers in advocacy; co-sponsor events such as the March for Science; provide resources and guides to engage parents in supporting their child’s science learning; and frequently provide perspective and insights to news outlets. We recently trained a cadre of award-winning teachers to be ambassadors for STEM education and work with elected officials at all levels. What are the main opportunities and benefits you can offer your members, and how does the NSTA support teacher’s professional learning and development? Can you tell us a little about your national conferences? Membership in the NSTA delivers all the best professional learning and resources a science educator needs. Members enjoy vetted teaching resources, discounts to online and face-to-face professional learning opportunities, skill-building webinars, and much more. As a leader in science education, the NSTA works to engage teachers of science nationwide and improve student learning by providing professional learning products, services, and programs. The NSTA has developed a collection of digital tools and online resources to address the needs of busy science teachers. Through the NSTA Learning Center, educators can explore content and its pedagogical implications and document their professional growth – all from the comfort of home and in collaboration with like-minded educators via our moderated online professional learning community. Each year, the NSTA hosts a national conference, three area conferences, and a STEM Forum & Expo that attract nearly 20,000 science educators. These conferences offer the latest in STEM content, teaching strategies, and research. In conjunction with select conferences, the NSTA hosts Professional Learning Institutes (PLIs), focused professional learning that address topics in depth and promote research-based strategies to improving science education. The NSTA also hosts workshops that help participants learn how to conduct comprehensive teacher training on the Next Generation Science Standards (NGSS). The NSTA is dedicated to helping science educators and administrators put the vision of the new science standards into action with a collection of teacher and vetted classroom resources, professional learning programs, and information and tools, all found on the NGSS@NSTA Hub. The NSTA publishes approximately 20 books per year for science teachers and has a growing list of science books for children with accompanying guidance for both parents and teachers. Further, the NSTA publishes five peer-reviewed journals, four in print and one online. Tell us about the Next Generation Science Standards and how they were developed? The Next Generation Science Standards (NGSS) are voluntary K-12 science standards that promote a new way of teaching and learning that allows students to actively do and experience science in a deep, meaningful way – not just learning about it from a textbook or a lecture. 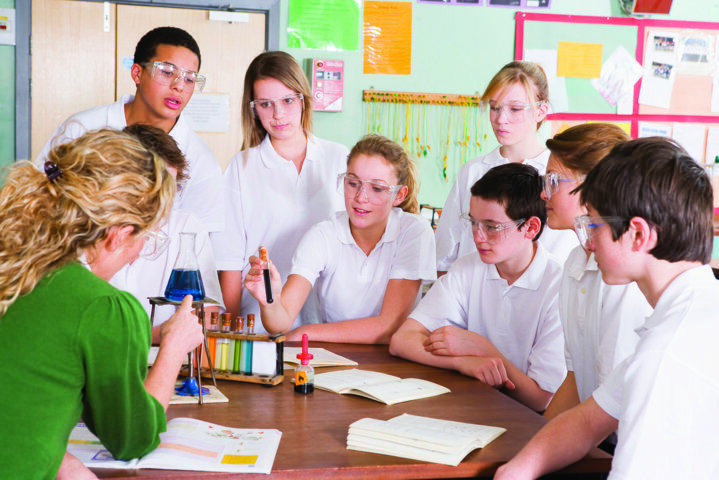 The NGSS are based on the NRC Framework for K-12 Science Education, that describes the essential science content and practices that all students should learn by graduation from high school. The standards have the power to transform science education by giving all students the skills and knowledge they need to be informed citizens, college ready, and prepared for STEM careers. Education experts from 26 states and a cadre of teachers, administrators, curriculum developers, scientists, and other stakeholders worked to develop the NGSS with private funding. The NSTA was a partner in the development process, along with Achieve, Inc., the National Research Council, and the American Association for the Advancement of Science. Eighteen states and the District of Columbia have adopted the NGSS. The NSTA is working to help states, districts, and teachers implement the standards. Tell us how these new science standards are different in approach? Why is this change in learning strategy important? The NGSS refine the goals for science teaching and learning by reflecting a growing body of knowledge about how students learn science. Significantly, the standards are cast in terms of what students should be able to do, rather what they should be able to recite. This new vision, as established by the Framework, recommends a number of conceptual shifts in teaching and learning. The most significant is that science and engineering practices (how science is conducted in the real world) should be used to actively engage students in science learning, and these practices should be integrated with disciplinary core ideas (content) and crosscutting concepts (broad science ideas that permeate all the sciences) in a three-dimensional nature. Other important shifts include the integration of engineering, and the need to use phenomena to authentically engage students in three-dimensional instruction. Science education traditionally has focused on large volumes of content, primarily basic facts and vocabulary, while falling short on the deeper understanding of key scientific concepts and the application of these concepts to daily life. The new standards refocus K-12 science education to improve college preparation, STEM career readiness, and the ability of all members of society to make informed decisions. It’s also informed by the latest research on how students learn science. The NGSS will help us improve the participation and performance of America’s students in science, technology, engineering, and mathematics (STEM) so that our next generation will exceed the level of innovation, problem-solving and technological advancement required in a globally competitive environment. How is the NSTA supporting international communication and collaboration between science educators across the world? We are a national organisation, but we see our place in the larger scheme of things, where science educators the world over have much to share with one another. The NSTA has members in more than 100 countries and often hosts international science teachers at our conferences. Additionally, we welcome teacher delegations from around the world to the U.S. for various professional learning opportunities. NSTA leadership officials are often invited to speak with minsters of education and educators in many countries and NSTA books for teachers have been translated into 14 languages, from Arabic to Thai. The NSTA believes that international science education should be a priority for all science educators. In support of this, the NSTA has an international advisory board that advises, guides, and provides input on the Association’s international efforts and helps to develop strategies for implementing new endeavours. The NSTA also has an official position statement, International Science Education and the National Science Teachers Association, that can be accessed at: http://www.nsta.org/about/positions/international.aspx. What are your views on the current uncertainties in funding for STEM education in the U.S. and the potential impact this has for the future? Over the past few years federal lawmakers have supported STEM education because they see the value of STEM programs in their states and districts. We are certain that these decision makers will continue to support STEM education in the federal education budget and reject the Administration’s funding request that eliminates or reduces funding for key K-12 teaching and learning programs. Finally, what do you see as the biggest challenges facing educators in STEM subjects over the next decade? Tell us about your longer-term plans to tackle these challenges. By far the biggest challenge to STEM education is the low level of science literacy in the general population. The confusion between what the science tells us about the physical world versus what decisions we make about how we live in the face of that information remains a challenge. For example, discussion about climate change, GMO foods, evolution, and vaccination is often cast in terms of scientific uncertainties when there is actually very little. This antipathy towards science is often expressed in efforts to move the science classroom away from science. Our long-term plan is to implement the new science standards which emphasise the importance of demanding evidence and cause and effect reasoning over authority to draw conclusions. It will take a full generation of students before this can be accomplished but we are on the right path. In the near term, of course, we need support for professional learning for teachers, better physical facilities for students to learn in, and more equitable opportunities for all students. Leadership from the highest levels of government is essential and, given the unique role played by STEM in our economy, we have reason to hope for it.